Bob entered the arboricultural world on January 2, 1955 when he began to work as a climber with Bartlett Tree Experts in York, PA. He later founded Hemlock Tree Service and continued working in the arboricultural industry gaining experience as a landscape designer and foreman of a utility line clearance crew. In 1981, Bob founded York Tree Service and, in 1984 incorporated, when he solicited line clearance work for Met-Ed. Bob is a Licensed Tree Expert #816 in Maryland, an ISA Certified Arborist PD-0034A, and a Licensed Commercial Pesticide Applicator. Bob’s progressive thinking led York Tree Services to the pursuit and achievement of TCIA Accreditation and Utility Contractor Accreditation. Bob handles employee training, oversees utility line clearance operations, and shares administrative duties. He is the President of York Tree Services and a member of Shades of Green Plant Health Care and Shiloh Landscape & Design. Bruce Stryker started working for York Tree Services on a part-time basis in August 1984, while attending Penn State University’s York Campus in pursuit of an Associate’s Degree in the Mechanical Engineering Field. York Tree Services exposed him to the green industry for the first time, and he never looked back. 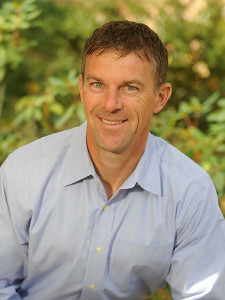 Bruce began in an entry-level position as a grounds person, moved up the ranks, and was invited to become a partner at York Tree Services in 1996. He currently serves as vice president of York Tree Services. Ever increasing his level of professionalism, Bruce acquired his International Society of Arboriculture (ISA) Certified Arborist Credential #1068-A in April 2002. He holds a lifetime Electrical Hazards Awareness Program (EHAP) Line Clearance Tree Trimmer Certification and is a Licensed Commercial Pesticide Applicator. Along with his mentor, Bob Meckley, Bruce assisted in bringing York Tree Services into the 21st century with the addition of computer technology and state of the art tree care procedures and equipment. His main concentration is overseeing residential and commercial sales and dispatching of York Tree Services personnel. Bruce is a member of Shades of Green Plant Health Care and Shiloh Landscape & Design. He is an integral part of the management team of the York Tree Family of companies. Greg Kern has been in the landscape industry for more than 20 years. He is the CEO of Shiloh Landscape & Design. Most people look at gardening and landscaping as a hobby, and Greg feels fortunate to be able to do it as a profession. He started working in the landscape field in high school and continued to work through college and beyond with Shiloh Nurseries. Shiloh has always been known for its creative approach to a project, including plant selection, placement and proper installation, which are critical to the success of a well-executed design. Greg has a BS in Landscape Contracting from the Pennsylvania State University. He is a Pennsylvania Certified Horticulturist (PCH) #617, a Pennsylvania Licensed Commercial Pesticide Applicator, and a member of the Pennsylvania Landscape & Nursery Association (PLNA). Greg has been an active Rotarian since 2000 and is an officer of the York East Rotary Club. He also serves on the Board of the York Suburban Communities That Care (CTC). 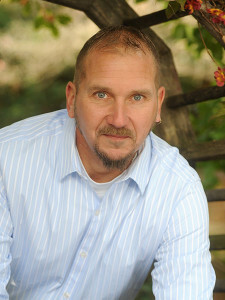 Bernie Wagman graduated from York County Area Vocational Technical School in 1991. 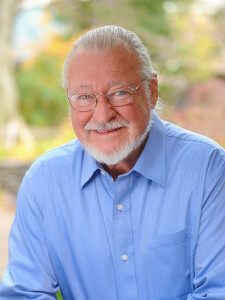 While there, Bernie received the Charles S. Snyder Memorial Award for excellence in Diesel Scholarship and Skills; along with many other achievements. With Bernie’s love of the great outdoors, he pursued a career in the green industry in 2007 working into the plant health care area for the care of trees, lawn and landscape. Bernie started his career with a competing company where he won several awards; including the President’s Club Award in 2014. In 2015, Bernie became part of the York Tree Family and their Shades of Green Plant Health Care (Shades of Green PHC) division. With Bernie’s insight and knowledge of the green industry; along with his great work ethic and personality, he worked his way up to be the General Manager of Shades of Green PHC. Bernie also participates in other committees within the York Tree Family organization to assist with their future growth and success.